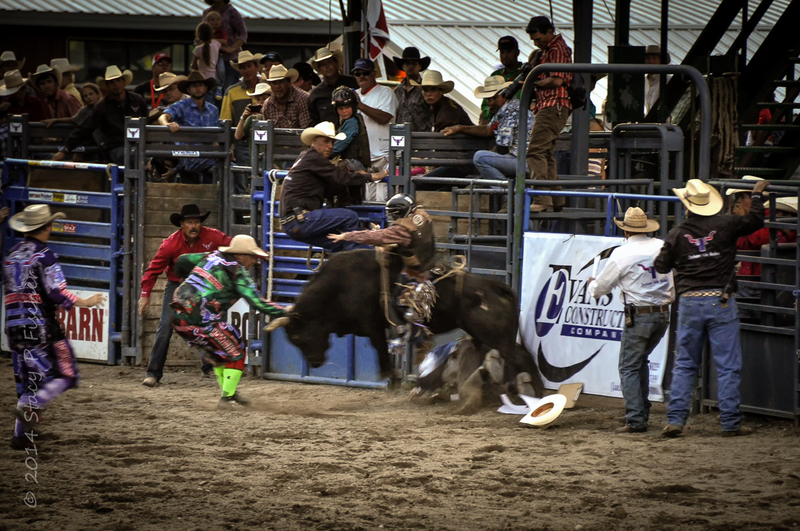 Jackson, Wyoming and summer rodeos go hand-in-hand. But trying to capture action at night with a fairly slow 200mm zoom lens without a tripod was definitely a challenge. “Why no tripod?” you ask. Simple answer: I didn’t yet own one. So I cranked up the ISO, found a railing for support, and did my best. But there’s an incredibly happy ending to this story. Yes, the cowboy was taken off the grounds via ambulance. Yes, it was a moving sight to see the rodeo workers and fellow cowboys, hats removed, form a pathway to block him from view as he was moved. But it was a downright miracle to hear 45 minutes later that he had not sustained any injuries. Photography 101 Assignment: Capture a fleeting moment and experiment with blur and movement. 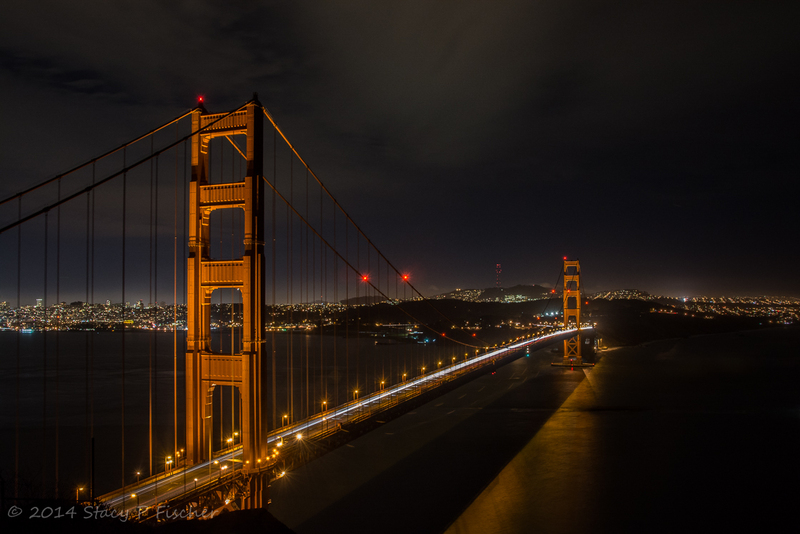 This entry was posted in Motion, Photo Challenges, Wyoming and tagged moments, night photography, photo101, photography, rodeos. Bookmark the permalink. ← Happy Hour with a View! Great action shot. In this situation a monopod would work better than a tripod – more freedom to rotate the camera, but maintaining stability. Some tripods come with a detachable leg to act as a monopod. Thanks for this great tip. The tripod I now own does have the detachable leg – besides learning when it’s better to use it, I need to become efficient at converting it! It must have been fun to photograph and witness such an insane event! I’ve only seen it on TV, but it could have been fun to watch it live. There were so many fun events, including the sheep chase: all the kids in the stands come into the ring and chase a herd of sheep with the goal of getting the red ribbon attached to one of them. Hysterical (though the sheep probably didn’t enjoy it as much)! It still takes my breath away to see this photo, Lucile. And I still can’t believe he wasn’t hurt! I can imagine, Stacy. Being there might have been much more exciting. Just looking at the photo makes my heart beat faster. Crikey – now that’s a great word to use for this! hah i love crikey ! Good capture. But yes, that happens quite a bit. Sounds like you’re familiar with the rodeo circuit, Mary. I guess I should think about it in terms of the extreme sport that it is! Wow Stacy. Risky business this one. Great moment! Can’t even imagine how frightening it must be to be the “man down,” Desleyjane. I think the most telling expression in the photo is the face of the cowboy in the back left! Ha, I had to go take another look. Yes, that sums it up!